I have a new great grandson. His name is Gannon. I made him a quilt in less than a day. 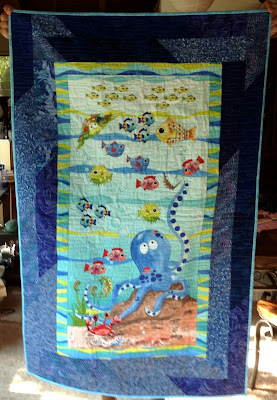 It was super easy, as I purchased a darling panel, added a couple of borders, quilted it, bound it and was done. Ta da. So cute. I named it Octopus and More. And the backing. 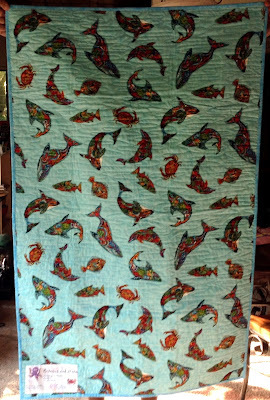 Such beautiful paisley sharks and dolphins. And my homemade label. I love making my own labels. 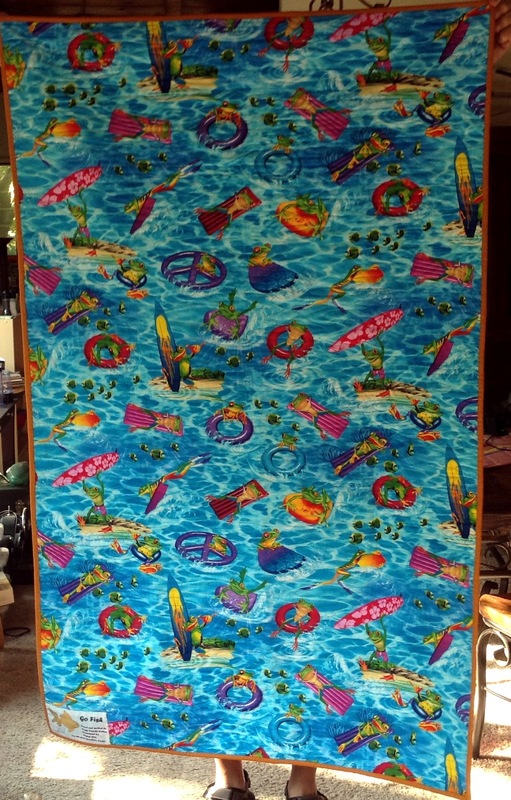 I find free clip art that goes with the name of the quilt and insert it into a Word document. Then I type the information I want on the label, such as the name of the quilt, my name, if someone else quilted their name, the town it was made in and the year it was made. 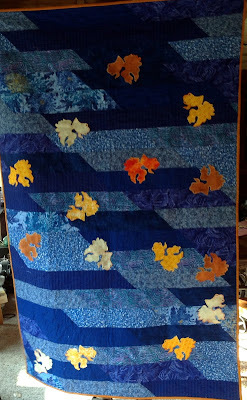 I have also begun including a short story, if applicable, about the quilt or the quilt's origin. I have also taken to signing the label with a sharpe pen after I print it out. 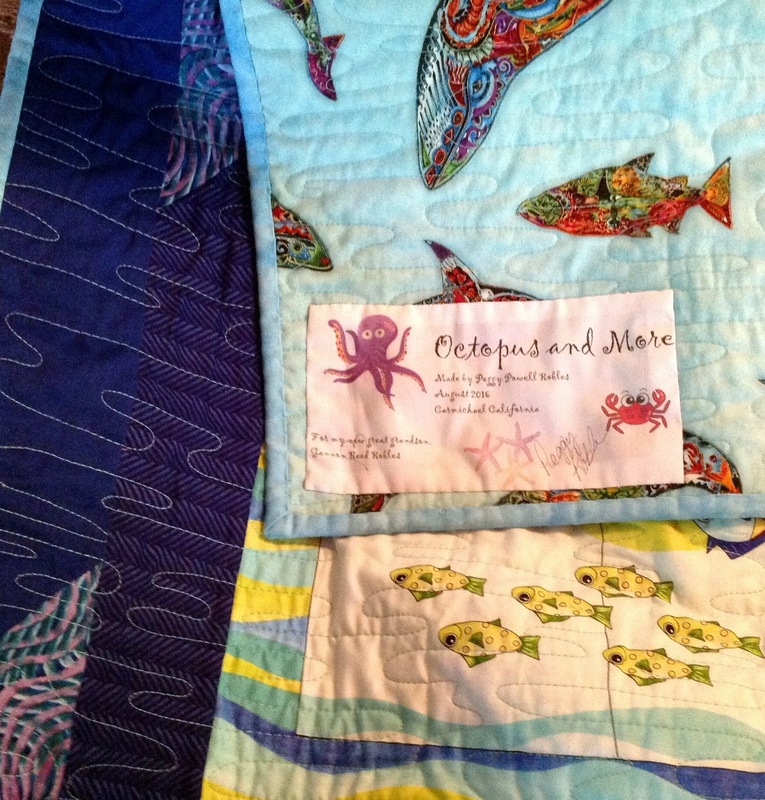 I print the label out on Printed Treasures inkjet printable fabric labels. They work marvelously. Just follow the directions on the packaging. 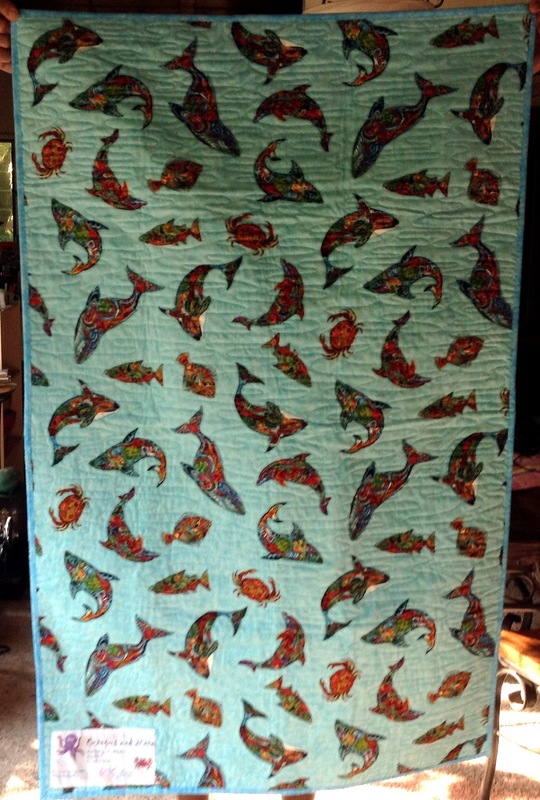 This quilt I started over a year ago. It is is just strips of blues that I had and I sewed them together in one long continuous strip and then sewed them together. I then had some fish that I had cut with an Accuquilt cutter. I had prefused the material before cutting the fish out. I fused those down and then hand blanket stitched them down using gold embroidery thread. I really like how it turned out. Even more I found the cutest backing. It has frogs swimming. Just too cute. A one year old, which Parker is, will love this backing probably more than the front of the quilt. 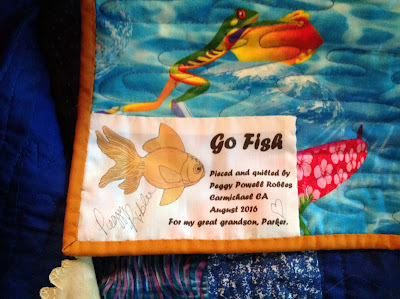 And again I made his quilt a label. Love it, too.